The Symposium on Knowledge Discovery, Mining and Learning (KDMiLe) aims at integrating researchers, practitioners, developers, students and users to present theirs research results, to discuss ideas, and to exchange techniques, tools, and practical experiences – related to the Data Mining and Machine Learning areas. KDMiLe originated from WAAMD (Workshop em Algoritmos e Aplicações de Mineração de Dados) that occurred during five year – 2005 to 2009 – as a Workshop of Brazilian Symposium on Databases (SBBD). 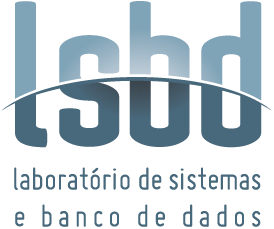 Since 2013, KDMiLe is organized alternatively in conjunction with the Brazilian Conference on Intelligent Systems (BRACIS) and the Brazilian Symposium on Databases (SBBD). 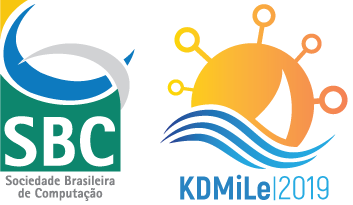 This year, 2019, in its seventh edition, KDMiLe will be held in Fortaleza on October 7th to 10th in conjunction with the Brazilian Symposium on Databases (SBBD). This year KDMiLe is being organized by Universidade Federal do Ceará (UFC, Brazil) and Centro Universitário 7 de Setembro (UNI7, Brazil). The KDMiLe Program Committee invites submissions containing new ideas and proposals, and also applications, in the Data Mining and Machine Learning areas. Submitted papers will be reviewed based on originality, relevance, technical soundness and clarity of presentation.